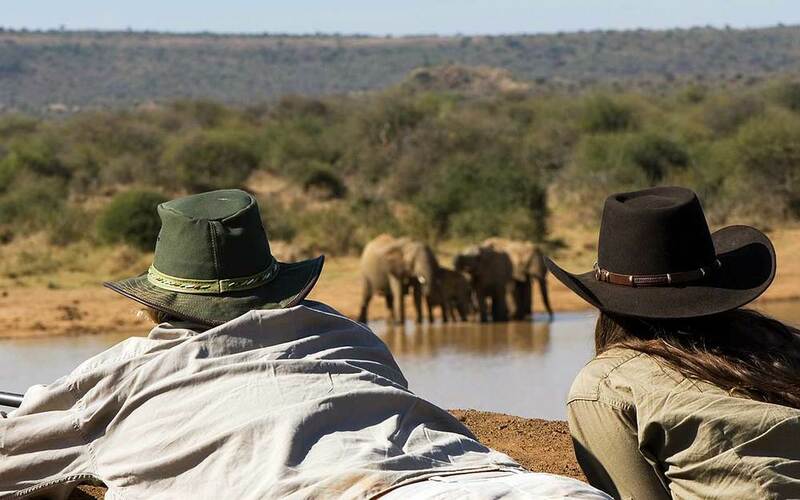 Being a 24,000 acre wildlife ranch, Sosian Lodge pride themselves on managing a unique blend of tourism, conservation and traditional cattle ranching in Laikipia’s highlands. The original ranch house was built in the 1940’s by Italian artisans and has been beautifully restored to accommodate up to 14 people (and more on request). Four double cottages are dotted throughout the gardens, against a back drop of Mt Kenya with views for miles over the Laikipia Plateau. This is true unspoilt Africa. The lodge has a beautiful swimming pool, plus a tennis court, organic vegetable garden and a stable yard of 30 safari horses. The list of safari activities available is extensive and the ranch lies at an altitude of 5500ft, which makes for a perfect climate, with no record of malaria. ACTIVITIES - day & night game drives, horse riding, walking, fishing, fly camping, camel treks, waterfalls, kayaking, swimming & cattle ranching. PRIVATE - Over 24,000 acres of private wilderness to explore with just one 14 bed lodge. The original main house provides classic elegance with a dining room, sitting room, bar and billiards room. 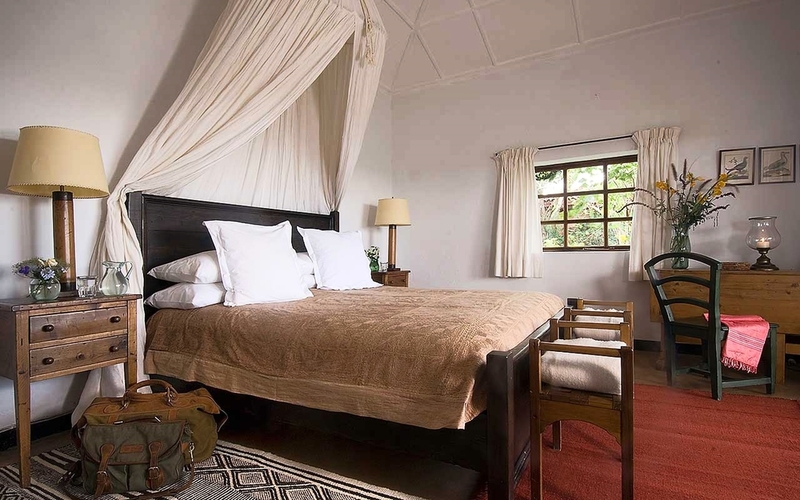 Four cottages are then spread across the tropical gardens offering 6 en suite rooms, plus a family cottage, each with their own private verandas. The beautiful swimming pool and pool house provide welcome refreshment after a day out in the bush and for those with the energy, a 'Kenya style' tennis court has held many a fine tournament! For a detailed fact sheet on the accommodation and facilities at Sosian, please CLICK HERE. With many years of careful management, the wildlife on Sosian has flourished. We are fortunate enough to have a diverse cross section of habitats that hosts a long list of birds and mammals, including elephant, hippo, buffalo, lion, leopard, cheetah, hyena, giraffe, zebra, kudu, oryx, impala, warthog, plus many smaller predators such as bat-eared foxes, genet cats and serval cats. Wildlife viewing is rewarding, whilst still maintaining the true wilderness of this area which makes each sighting all the more special and exciting. Sean & Charlotte have been managing Sosian Ranch since 2006 and have two young boys at home. Sean is a born and bred Kenyan and after studying agriculture in England, he returned to Kenya, soon becoming the general manager & CEO of Sosian. As well as managing all aspects of running a 24,000 acre game ranch in Kenya, Sean is also passionate about Sosian's stud herd of Boran cattle, which he founded in 2006. The task of caring for the wildlife and cattle in a mutually beneficial way is a fine balance, but a fascinating and rewarding task. Charlotte is a keen and experienced horsewoman and over the years has expanded Sosian's equine set up to a yard of nearly 30 safari horses, taking guests out into the bush. In 2017 Charlotte also initiated Sosian’s own breeding program of Irish Sports Horses, to add some European quality to our string of safari horses. In addition to running the Sosian horses, Charlotte also manages all aspects of marketing for Sosian Lodge. David is our assistant manager at Sosian and started his career on a flower farm in Naivasha. In 2001 he moved to Sosian and helped renovate the ranch house and create the garden seen today. David is an invaluable member of our team, now involved with all aspects of running the lodge and looking after our guests and fortunately loves being busy! Josh is a Kenyan born and bred, growing up on safari and happiest when in the bush or in the air. On finishing university in Australia, Josh went on to California where he trained to become a pilot, attaining both his private and commercial licenses, before being drawn back to East Africa. After 4 years of aerial conservation work, flying with the Grumeti Fund in Tanzania and Tsavo Trust in Kenya, Josh took the decision to become more involved with tourism, and began as head guide at Sosian in 2018. In 2010 John, still in his teens, arrived at Sosian looking for a job. He was taken on in the stable yard as an apprentice, where he quickly proved himself to be a kind and talented horseman. Today John will lead most rides and is a thrilling, yet careful riding guide. John is also one of our best driving guides, having attained his Kenya Professional Safari Guide Association qualification. He has a wealth of knowledge to share and an exceptional way with guests of all ages. Not only is John a great guide, but he is also Sosian’s head farrier for the yard of 30 horses. Nico is Sosian’s head chef and comes from western Kenya near Lake Victoria from the Kisii tribe. He has worked all over Kenya from Samburu to Mombasa but has been at Sosian since 2005. Nicodemus is a great philosopher as well as a master in the kitchen, with over 10 years experience of producing top notch menus to suit all tastes. Sosian Ranch had a long history of mis-management and neglect until 2001 when a group of six shareholders had the vision to came together and restore this precious wilderness area. At this time all 24,000 acres had been entirely abandoned as it could not sustain even a goat, let alone cattle or wildlife. No livestock were allowed onto the land for 2 years, in a bid to restore the eco-system. Security teams trained from the local villages were employed to start protecting the wildlife and huge investment was made into renovating the original ranch house into a tourist lodge, as well cutting roads, digging boreholes for water and building dams. Today Sosian is unrecognisable. It is a pristine example of what sweat, blood and tears, plus a lot of determination, can produce! By embracing our local neighbours we have a strong and dedicated work force, a committed anti-poaching team and over 100 Sosian trained, skilled workers supporting their families. By offering as much support as we can to the local medical clinic and primary school we hope that we are making a difference in our area and giving opportunities to those who wish to take it. Sosian are committed to facilitating sustainability on a long term basis, for Laikipia's people and its wildlife. To learn more about the conservation and community work that Sosian are involved in please click here. We also have a good selection of special offers. Please contact bookings@offbeatsafaris.com to find out more.